On my recent visit to the Australian Botanic Garden Mt Annan in the south east of greater Sydney, I was immediately drawn to the wet fern gully just south of the Visitor Centre. One of my favourite birds, the Rufous Fantail, had been sighted there only a few days before. I hadn’t seen this species for over a decade, mainly because I don’t go birding in the right places, or at the right time. One can only hope. 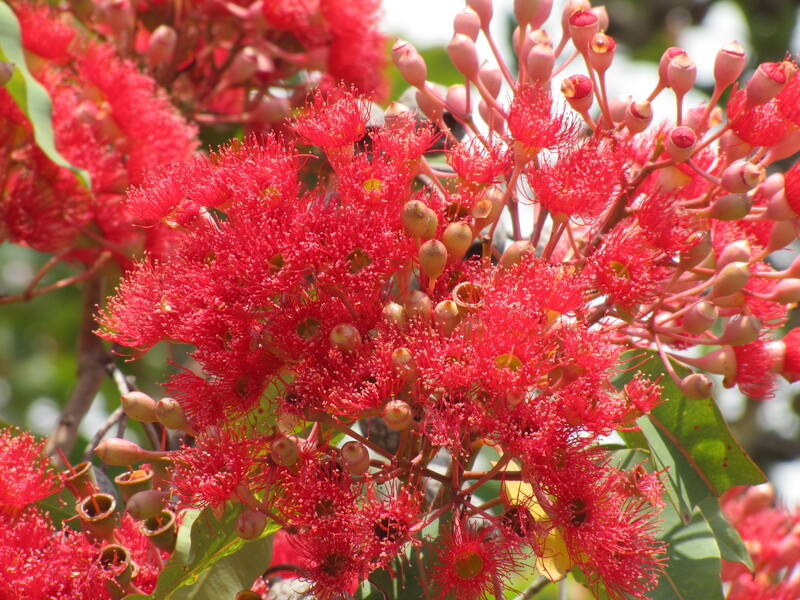 Still, I had much more luck with the flowering Eucalypt tree shown below. At least flowers tend to be in sun – and they generally stand still, though I have known a few flowers which were hard to shoot because of the wild wind. On our recent trip to visit family in Sydney we were determined to visit the Australian Botanic Gardens Mt Annan at Campbelltown in the south eastern part of greater Sydney. In recent visits to our son it has never worked out to take a day trip to these gardens. In fact, our last – and only visit – was in April 2000. Our memories of that visit were getting very hazy, though I do remember seeing Double-barred finches there – my one and only sighting of this species. Despite the lack of flowers I was still pleased to record about 40 bird species during our stay. 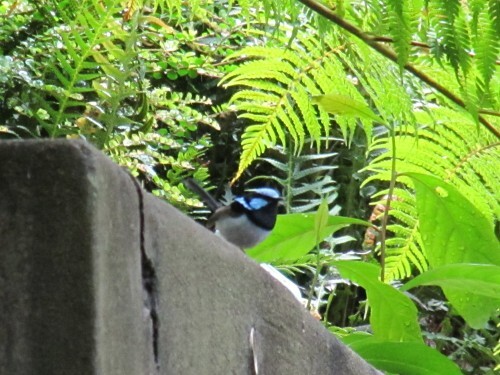 One of them was a shy Superb Fairy-wren shown above. He was skulking around in the undergrowth in the fern gully, just where the light was too poor for photos. His brief appearance in a lighter spot was not quite long enough for a good photo. Below I’ve shown one of the plants in flower on show during our visit. I will write more about the birds I saw in coming days. Quite often we have seen several of the parrots sitting at the entrance of a large hollow in one of our trees. We also see them entering and leaving this hollow. We’ve suspected that they have been nesting in this hollow, but we lacked definite proof until earlier this week. My wife, who runs a small nursery growing Australian native plants (click to visit), was working in the nursery when she noticed a ringneck feeding a young one in the tree near her. So we can only assume that they have recently used the hollow (or another one nearby) to raise a family. The Mallee Ringneck is a race of the Australian Ringneck. Over the last few months the Eremophila maculata (compact form) bush in our driveway has been covered in bright flowers. It is a stunning picture and we enjoy seeing it in flower for so long. The Red wattlebirds also appreciate the flowers and visit the bush many times each day for a feed. 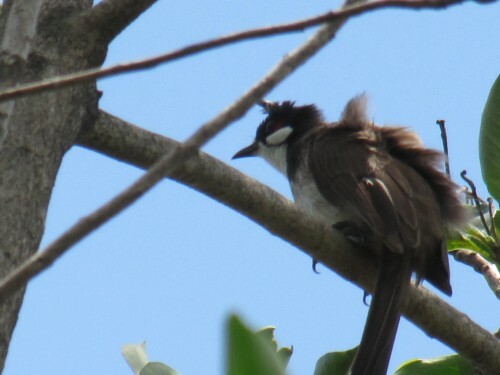 Other species that enjoy a feed here include the New Holland Honeyeaters, Spiny-cheeked Honeyeaters and the Singing Honeyeaters. Not to be outdone, the resident Mallee Ringneck Parrots also feed on the flowers. The ringnecks are far less delicate feeders, though, because they enjoy eating the whole flower, not just feasting on the nectar. A few days ago I wrote about our short visit to the Wagga Wagga Botanic Gardens in southern NSW. We were on our way home from holidaying in Sydney with family. These gardens are small but hold a nice range of Australian and exotic plants. It’s also a good spot to get right off the highway, relax with a picnic or a cuppa, and enjoy the range of birds resident in the area. On this visit I managed to photograph several of the Grevillea species in flower, and while doing so I also captured a Red Wattlebird feeding on one of the bushes (see photo below). It must have been hungry, for the bird almost completely ignored me and my camera only a short distance away. I guess it also needed to stock up on energy for the cold night which was quickly closing in. It had been a bitterly cold day, quite unpleasant for being out and about. 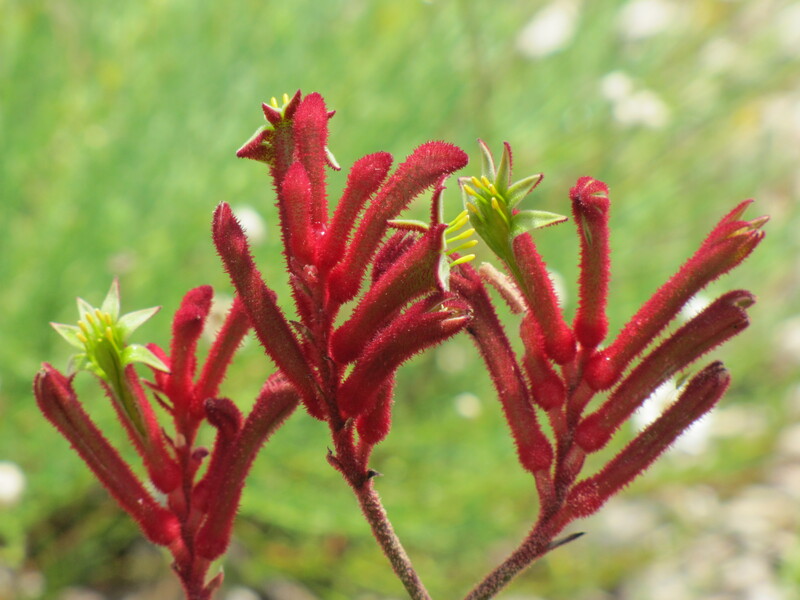 While my prime objective is to photograph our wonderful Australian birds and showcase them here in this site, I also enjoy getting great shots of our native flowers like the Grevilleas. (You can see more photos of flowers, both native and exotic, on my other site, Trevor’s Travels. Click on the Parks and Gardens category or click here.